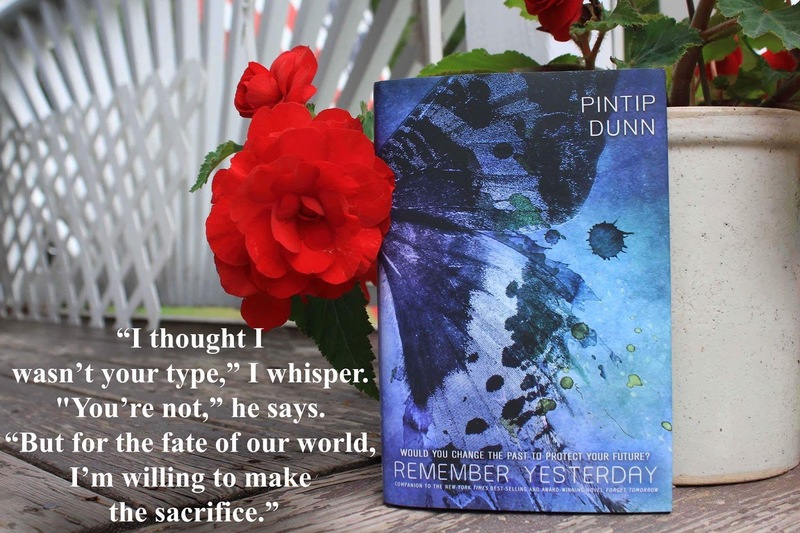 Synopsis: Companion to the New York Times bestselling and award-winning novel, Forget Tomorrow. Sixteen-year-old Jessa Stone is the most valuable citizen in Eden City. Her psychic abilities could lead to significant scientific discoveries, if only she’d let TechRA study her. But ten years ago, the scientists kidnapped and experimented on her, leading to severe ramifications for her sister, Callie. She’d much rather break into their labs and sabotage their research—starting with Tanner Callahan, budding scientist and the boy she loathes most at school.The past isn’t what she assumed, though—and neither is Tanner. He’s not the arrogant jerk she thought he was. And his research opens the door to the possibility that Jessa can rectify a fatal mistake made ten years earlier. She’ll do anything to change the past and save her sister—even if it means teaming up with the enemy she swore to defeat. I lift my eyes to meet his, and I reach into the future—his future. The vision pours intome. The future Tanner grabs me and kisses me. Without warning, without hesitation. It is hot andsearing and exquisite. And I like it. Oh, how I like it. “No!” I fall out of the vision and scoot away from him, so far that I approach the edge ofthe platform. My pulse is thundering; my nerves are jumping. Oh, Fates. What’s wrong with me?Is it because I don’t want him to kiss me? Or because I want it too much? I look into the open space, fluffy with wads of cotton-ball clouds. I take a breath, hopingto inhale some of the sky's serenity. He doesn't know about the kiss. Why would he? In thevision, he acted impulsively, without premeditation. The desire to kiss me hasn't arisen in himyet. Maybe I can prevent it from cropping up altogether. "Look, you don't want to kiss me," I babble, staying where I am. And hope I sound morereasonable than I feel. "It's only because we talked about kissing the other day. When you talkabout something, you give it life. Make it real. Like an annoying song you can't get out of yourhead." He creeps toward me, his eyes flicking between my face and the sky. "So you can't getthe idea of kissing me out of your head?" He stops five feet from the edge of the platform. "So let me get this straight. You sawinto the future and we kissed. Right?" "Y-yes,” I stutter, shocked that he guessed the truth so easily. “But it doesn't have tohappen that way," I add quickly. "As my sister proved, we're in control of our own fate. We canmake any future we wish." "Unless this is our Fixed." His voice is low, rough. And yet, every syllable imprints intomy memory forever. "Unless this kiss is so important, it happens in every one of our worlds." His eyes glitter with the challenge. With one last look at the platform's edge, he crawls tome, slowly but steadily. "The path of our particular world might depend on this kiss. Would you risk our future just to be stubborn?" And then, he's right in front of me. He rests his hands lightly on my back. They slide down to my waist, until his fingers brush against the strip of bare skin between my pants and top.I shiver, and my skin pebbles into a million goose bumps. He pulls me against him. So much of my body is touching his that I can't think; I can't breathe. All I can do is feel. His trembling breath. My hammering heart. His shaking hands—or hell, maybe that's me, vibrating against his touch.